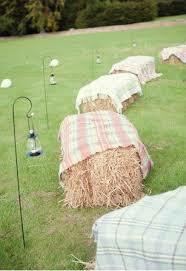 A few tantalising glimpses of the sunshine and we’re already busy taking bookings for your summer parties. 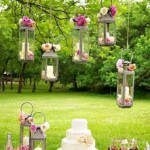 One thing that we often get asked is how to turn a celebration into the perfect garden party. With that in mind, we thought we’d jot down a few tips which, in our experience, are a must! Strawberries & Cream – Nothing says ‘British summertime’ more than fresh strawberries and cream. Serve them in little pots, with cakes and scones or decorate a ‘naked’ cake with them and use it as a centre-piece to wow your guests. 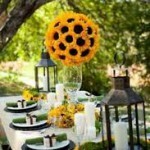 Flowers – Where would a garden party be without some gorgeous flowers? Add English roses or wild flowers to jam jars or teacups for an extra pretty touch or go bold with giant sunflowers for real impact. 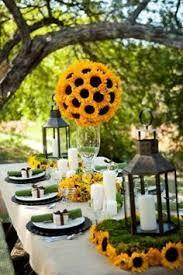 Seating – Normal garden tables & chairs are just fine but why not help your guests get extra comfy and add a funky look to your party at the same time? 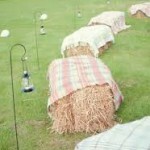 Your guests will love the novel idea of adding beanbags and deck chairs or rustic hay bales to the garden. Bunting – Love it or hate it, it always adds a pretty touch to your party. Go traditional, get funky or get your craft on and make it yourself! You can stay traditional with themes and colours or go crazy with your imagination and really bring the scene alive. 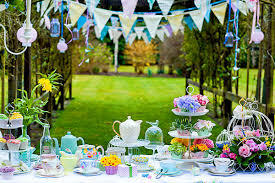 Vintage Tea Sets – Mismatched vintage teapots and teacups create the perfect vintage look and create a stunning effect for garden parties. We’ve even been known to serve cheeky pots of GIN in ours! This versatile touch can keep things pretty or add a fun twist to your party. Lighting – absolutely essential to take your party into the evening. There’s so many designs to choose from. Keep things easy with solar powered string lighting or get romantic with candles in jars (but don’t forget the citronella ones!). For an elegant touch then white lights are always a winner but to set the party scene then try out some bright colours. Get Cosy – with a fire-pit, blankets and marshmallows. It’s the perfect way to round off the very best of summer parties and will leave your guests feeling cosy on the inside and out. This works especially well with BBQs & Hog Roasts! Food – Get the food spot on and everyone will be happy. Fill the air with the sweet smell of a delicious BBQ or maybe even a Hog-Roast. 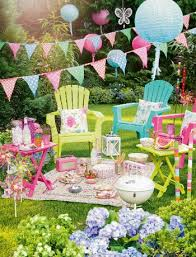 If you’re going for the vintage garden party then why not choose a selection of lovely sandwiches and cakes or even jelly and ice-cream! Create a garden party that your guests will be talking about for years! Enter our competition to WIN a Summer Party worth over £500!